Do You Have Enough Traffic To Your Website? Achieving eCommerce excellence is mostly a matter of creating the best possible customer experience. If you can take the risk out of the purchasing process and make the experience as positive as possible for your buyers, in the long run you’ll likely be successful. Here are a few of the best tips for achieving eCommerce excellence. Some people want to come to your website and buy right away. They want to land on your page, pull out their credit card and be done with the whole thing in two minutes or less. Still others will want to come to your page and do some research. Your site needs to be able to accommodate both. Amazon for example makes it very easy for people to order right away with its buy button above the fold. However, people can also spend ages researching reviews and related products to find the perfect thing for them. Trust and security is a big issue online when credit cards are involved. Make sure you have 128-bit SSL encryption and that you have a secured server certificate. That means that your checkout page should say https:// rather than http://. Also make sure your site is very well designed. Poor design indicates lack of trustability. Finally, work on building your brand. That’s not something that can be done overnight, but absolutely plays a big role in conversions. Amazon converts 12% of their visitors into buyers – not because of brilliant copy, but because of a brand that’s built up over years. It shouldn’t feel difficult to order from you. Try to take as many steps out of your checkout process as possible. People who land on your site should at most have one or two choices. They can browse products or they can search. They can keep shopping or they can check out. They can pay by credit card or by PayPal. Try not to overload them with choices. Avoid crowding your site with too many features. Make it very, very simple. Make your return policy crystal clear. Try to be as generous as possible. One place you can see the effect of return policies in action very clearly is eBay. EBay is often filled with people selling very similar products for very similar prices. The margins are so low that it’s very hard for anyone to undercut anyone. However, one area where certain sellers get an edge up is their return policies. Sellers with generous return policies will almost always outsell sellers with stingy return policies. The same is true with eCommerce. If people know that they can get a full refund if they’re not satisfied, they’re a lot more likely to want to order. The risk to them is much reduced. These are some of the top tips for achieving success in eCommerce. If your produce exceptional customer service, in the long run you’ll achieve exceptional results. How would you like to have your gift basket business presented to millions of readers for free? How would that impact your bottom line? Would it change your life for the better? My friend Rachel is showing you step by step how she got on the cover of Women’s World Magazine. Wouldn’t you LOVE to repeat her story? And it’s not just any traffic… this is TARGETED traffic that has people extremely eager to hear from you. Including how you can do it all for F-R-E-E! P.S. I guarantee you haven’t seen anything like this before. How do you keep your current clients? This is a huge problem with most businesses. They go to all the trouble of finding a new customer, only to lose them after the first sale. Don’t let this happen. When you carefully cultivate a relationship with your clients, you can potentially have a customer for life. And most importantly, they will refer their friends to you, which will get you free business. Referral advertising is one of the most effective there is, because people are always more likely to believe what their friends say about a business than the company themselves. Here are four tips to help you keep your customers happy. This is easily one of the most important aspects of retaining clients. If they call you, don’t wait days to get back to them. Contact them immediately. And make sure the people you hire to handle the phone calls are extremely knowledgeable about your business. For instance, if you sell a product on how to lose weight, you might want to ask clients what their biggest weight loss challenges are. Also, ask them for feedback on what you can do to improve your service. These gestures just show them you care about their opinion. If you are ever in the wrong, don’t simply apologize and forget about it. And definitely do not blame it on the customer! Instead, at the minimum give them a gift certificate for your products or services. Simply go out of your way to make it up to them. Many businesses build unrealistic expectations with lofty claims, and then the customer is disappointed in the final product. Instead, make sure you always deliver more than they expect. You do this by under-promising and then delivering more than they anticipate. It’s no more complex than that. For instance, if you have a web design business, be realistic about when you can get the finished site to them. Then attempt to get it quicker than you said. Saying you will get it to them by a certain date and then failing to do this always leaves a bad taste. Another great method to over-deliver is to provide unannounced bonuses with your product. This is done all the time in the information product world, but it can easily be incorporated to physical goods as well. For instance, if you sell laptops, you might include the mouse for free. Just think of related times your customers will want down the road, and include them as a surprise bonus. If you implement just a few of these strategies, you will be amazed at how many of your current clients keep buying from you. And don’t forget that they will also refer you new business as well. Take time to carefully manage your customer relationships, and you could be profitable beyond your wildest dreams. Imagine if you could create your own unique, and in-demand, business by personalizing specialty items. With personalized gift software you can create the at-home business you’ve been longing for with a few keystrokes. Here’s how to create personalized gifts from home with your PC. Research your idea. What type of products will you personalize and sell? The sky is the limit here. Personalized Gift software lets you personalize everything from cards and stationary to candy. Key chains, family trees, and even pet products can be created to represent your customer and their unique needs. So the first step is to create a business plan, and that involves determining what products you’re going to sell and what services you’re going to offer. Determine who your customer is, what their needs are, and how you’re going to meet them. Plan how you’re going to market your products and how you’re going to charge and fulfill your orders. Research and purchase your office equipment. For a personalized gift business, you’re going to need a computer and personalization software. There are several products to research. Look for a product that offers customization, is able to personalize your type of product and is compatible with your home technology. 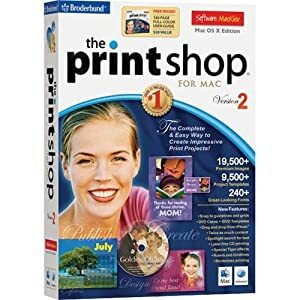 If you don’t have a computer already, and a printer, you’ll need those as well. Because part of your business is printing personalized labels, look for a high quality printer. Many software programs allow a free trial, so consider trying the program out before you buy it. Make sure it’s easy to use and the customer service is all you need it to be. Market your personalized products. Whether you’re marketing online or off, you’re going to want to create a website. Your website will function not only as a means for marketing and promoting your products, but also to sell your products. When people can order online, it makes the shopping process quick and easy. You’ll also want to make sure your website is search engine friendly and that your advertising and promotion strategies are working to drive traffic to your website. Content marketing is a good way to drive traffic as well. Gather your inventory and make a few sample products. Creating sample products will provide you with images for your website. It will also give you items to take with you when you participate in trade shows, networking events and if you rent a booth at markets or other events. These events are also a great way to market your business. Adding personalized gift items can be a wonderful way to specialize and create your own niche. Find some great software , plan your business and get ready for success! One of the best ways to ensure your business website capitalizes on holiday sales is to take extra care to prep your website before the holiday season is upon you. Not sure what a holiday website prep entails? Simple, just follow these five easy steps. Assuming your search engine optimization is effective and running smoothly, website holiday preparation involves creating a separate search engine optimization strategy for the holidays. Spend some time researching the keywords and keyword phrases your customers might use during the holiday season to find your information. Optimize your site and new holiday content for these holiday keywords and keyword phrases. Add the required HTML coding and create a strategy to build incoming links for this seasonal strategy. Broken links, graphics that take a day and a half to upload, and difficult navigation are all ways to lose a potential holiday customer. Make your website experience as positive as possible for your visitors. Give them every reason to want to stay on your site. Give them every reason to recommend your website and to come back often. This includes making your site searchable, enhancing navigation, adding holiday graphics and products or services, and offering a wealth of valuable content. Step #3 – Is your server up to speed? Are your website, software, and server, prepared for a rush of traffic and transactions? Find out how much traffic your website and supporting software can support and make sure it’s more than enough to cover you during those peak buying times. Additionally, take some time to back up your site just in case it crashes. You’ll be glad you did. In addition to making sure your policies, procedures and privacy statements are easy to find and up to date, make sure your customers’ transactions are secure and protected. Update your SSL and only participate with vendors who do the same. Identity theft is scary and customers will be more likely to purchase from you if they know they’re protected. Step #5 – Is your shopping cart functioning optimally? Spend some time running through test transactions so you see what your customers see. How can you improve the user experience and make shopping on your site, and paying for products or services, as easy and enjoyable as possible? One of the most common causes of lost sales are abandoned shopping carts. If you need to get some new shopping cart software or tweak the process, do it now before the holidays hit. The holidays are an optimal time to boost annual sales and to capitalize on an increase in website traffic. Making sure your website is ready for the influx of visitors and sales is the best first step you can take. Come December, you’ll be glad you took the time to perfect your customer experience and website now.